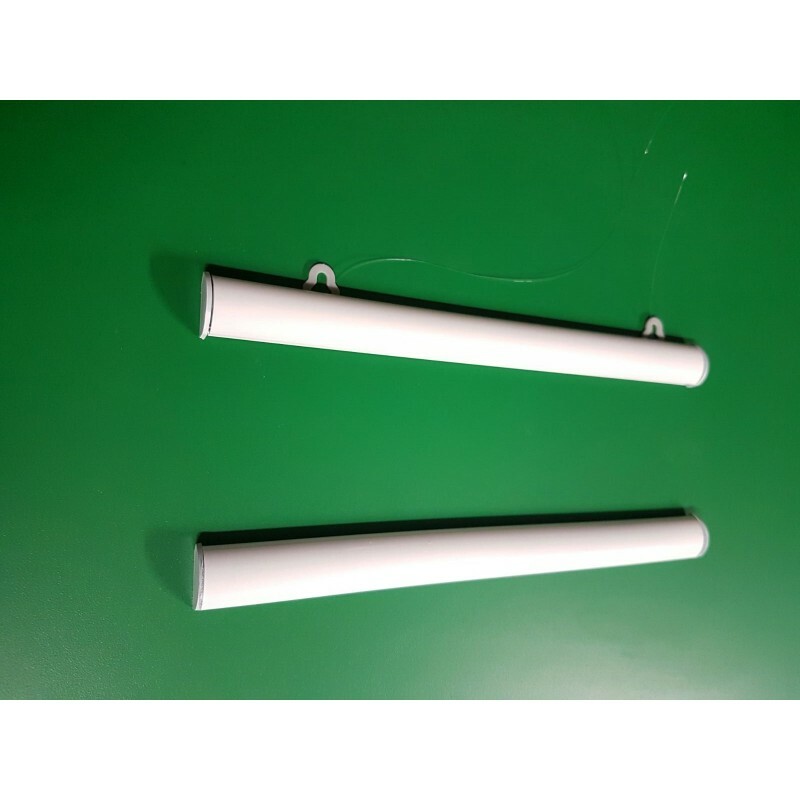 Aluminum Poster Snap Hanger Stock Colors Silver White & Black. Stock sizes from A4 to A0 & 1 Meter 2 Meter 3 Meter. We can also supply custom made sizes for poster grippers / hangers. Stock colours Silver, White, Black Custom Made Colors Blue, Red, Gold, Green. Aluminum Poster snap used to display different type and size of posters, pictures and flares. Work with any type of banners PVC Banners, Vinyl Banners, Fabric banners. Stock Sizes 100 150 200 300 CM OR 1000 1500 2000 3000 MM. Aluminum poster hangers made of Aluminum. You can buy from stock white, black, Silver, poster hangers. The Poster hangers are available from A4 to up to 3 Meter range of sizes landscape & portrait. 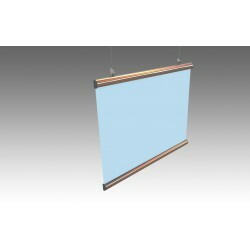 We can also supply Poster hanger Red, poster hanger gold, poster hanger blue on demand. You can display 2 same size posters back to back in one poster hanger. If you are hanging posters back to back in the window then you can see one poster from inside & one from outside of the window. Aluminum poster hangers or Poster Snaps are reusable & easy to use suitable for any material posters or banners made of Vinyl paper or fabric. 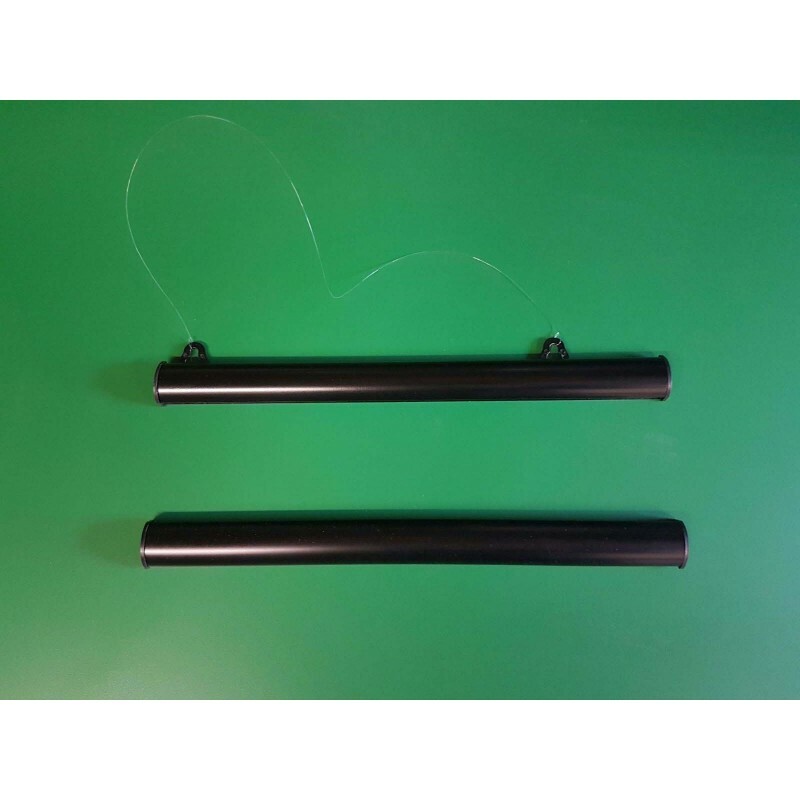 These poster gripper or poster Clamps or holder is made of 2 anodised aluminum bars with a snap open and shut system to allow easy insertion of your posters. Rubber strip inside the poster hanger give extra grip to the posters made with thin and slippery material. 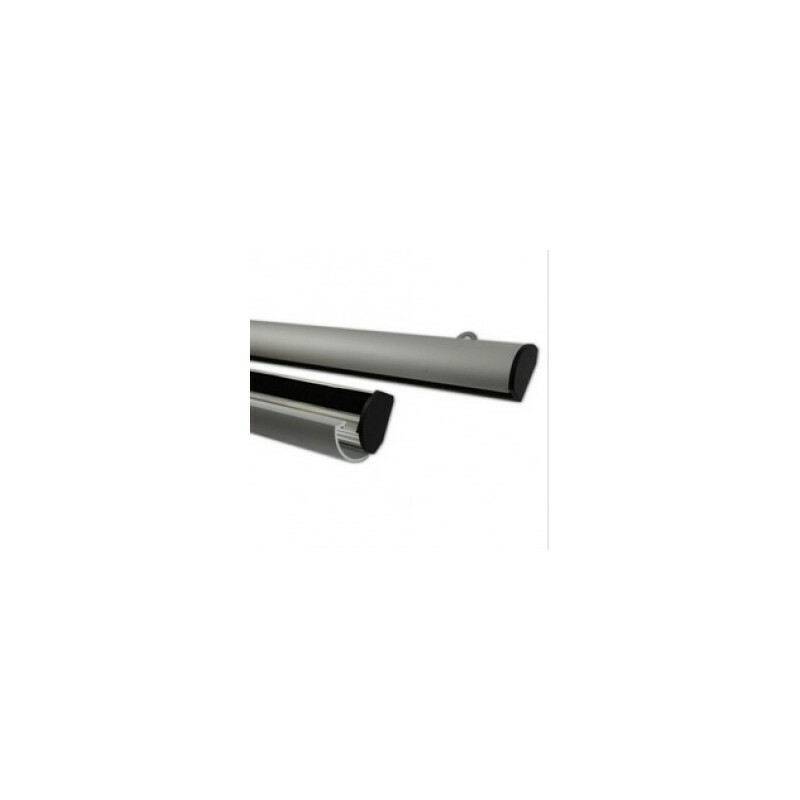 Easy to use aluminum hanging bars are designed to grip the top and bottom edge of a poster and banners.. Custom sizes poster hanger also can be provided on request. Best to display banners at exhibitions, point of sale, offices shop display, events displays, window displays, shop window backdrops, trade events, picture hanging, map hanging.